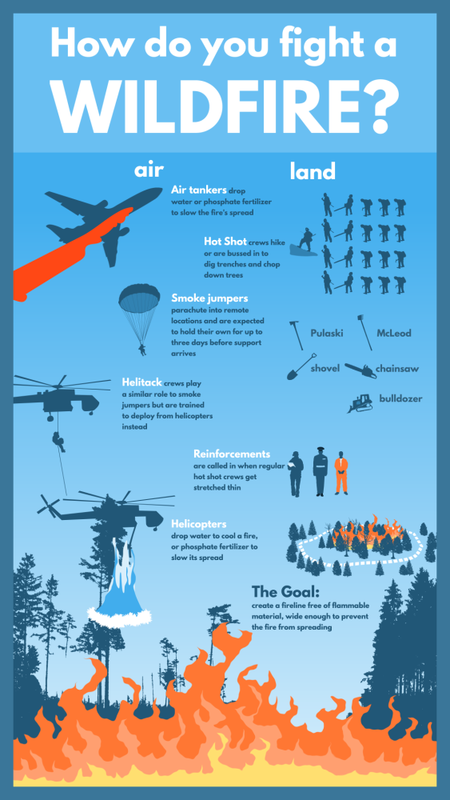 It takes vehicles in the air, tools on the ground, highly trained hot shots, smoke jumpers, and helitack crews, and additional reinforcements of all kinds to combat wildfires. When “43,000 wildfires have burned more than 8.2 million acres” in the U.S. in 2015 so far, this kind of teamwork is essential for smart wildfire management strategies. Firefighters! There are more fires to combat and to learn from on this site.